Thanksgiving is almost upon us and thus, Black Friday Sales are within reach! 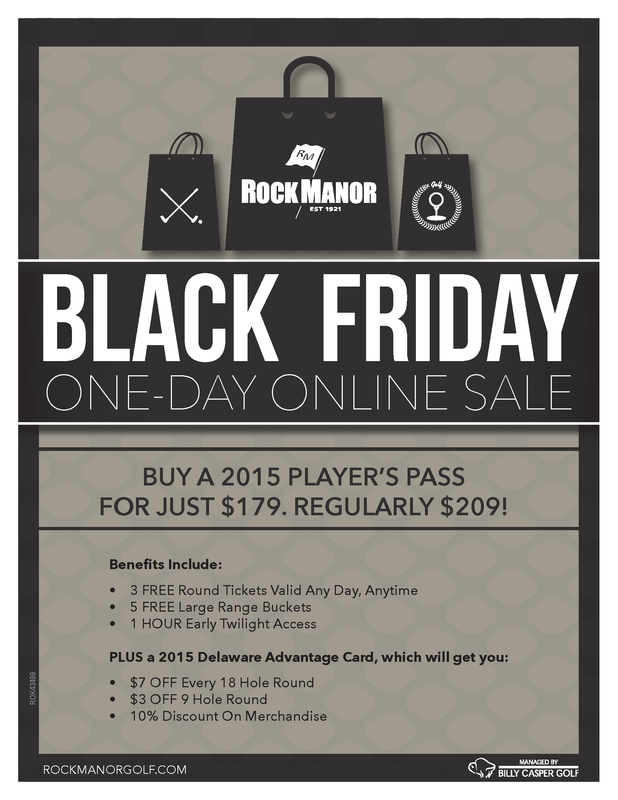 Skip the mall this year, and check out the deal we'll have at Rock Manor! For just one day, you can get your 2015 Player's Pass at an all-time low price of $179! This will be a ONLINE ONLY SALE on Friday, November 28th! Call or Visit the Golf Shop for More Details!